know how important they are to him. “They start out as clients, but they leave great friends.” He also hosts an annual client appreciation brunch on the lake attended by hundreds of people. they don’t know the intricate parts of the moving machine of real estate. Seeing their smiles at the closing table is off the charts incredible!” he says. a gift, and you’ve got to take that gift and give it away. And I do!” he says. For the future, he wants to continue to mentor young professionals, and keep his focus on constant strategic innovation. Jim wants to continue to do more, be more and give more. With his incredible energy and experience, he’s sure to accomplish those worthy goals! To find out more about Jim Slater you can contact him via email at jim@slaterrealtygroup.com or by phone at 612 - 590 - 1802. 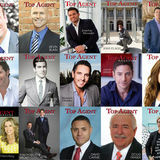 You can also check him out online at slaterrealtygroup.com www. 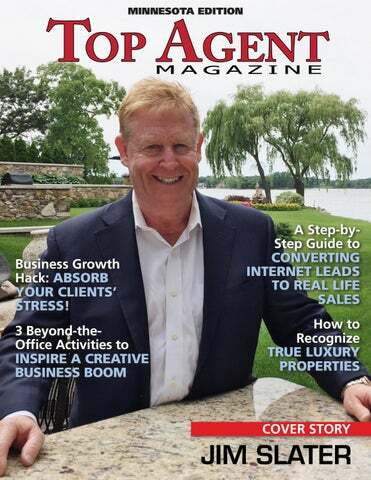 on being featured for the state of Minnesota in Top Agent Magazine! Spacecrafting, Inc | 612-353-4073 | spacecrafting.com www.